Our new Online Tax Web Site offers citizens the ability to print their tax bill and their tax receipt. Click here to use these and other citizen features. As the Treasurer of Franklin County and on behalf of my staff we would like to welcome you to the Franklin County online property tax website. We are very proud of our beautiful scenic county, but we feel it is our people that make us such a wonderful place. We are so glad that you have chosen to visit our website and thankful that you have allowed us to bring to you this most valuable service. Our goal through this website is to allow you to conduct your business, whether it is paying your property taxes, purchasing a dog tag, or simply researching Franklin County tax records. 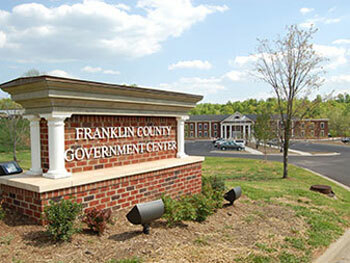 The Treasurer is an elected official, chosen by the voters of Franklin County and serves a four year term. Our present Treasurer is Susan Wray.